Brown eyes, brown hair, neutral but fair skin, you are most likely to fall into this category. So what should Michelle wear? You want to put together a high value contrast – so light and dark colours together, then a low colour contrast – so either all the same colour (monochromatic), or neutral and a colour but the neutral needs to relate to the colour chosen, as the brown does with the burgundy here. Michelle looks great in an all neutral outfit too, as long as her value contrast is working. Secondly we have Andrea, similar to Michelle in value contrast, but she has a pink flush to her skin, which gives her a little more colour to play with. So neutral plus a colour is great for her, but still the combination of light and dark colours. 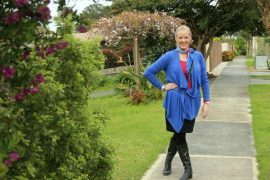 Rather than just one colour or all neutrals which suit Michelle, Andrea needs to always wear some colour with her neutrals. Here is Ruby who has a high value contrast with her dark hair and light skin, but she has a medium colour contrast with her blue eyes and her blue hair, and her lovely red lips (and if you do wear red lipstick all the time this will add more colour contrast to your appearance, unless you already have pink skin like Andrea). With this combination, she needs to always wear some colour, along with her high value contrast neutrals. 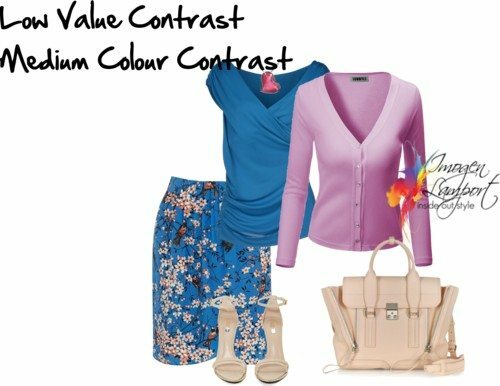 All neutrals will look dull, and she needs to wear one to two colours at a time as red and blue are two parts of a triad which gives her a medium colour contrast. Here is Bernadette with her stunning bright blue eyes and lovely pink lips. You can see that she ideally needs to always wear some colour. Because her value contrast is low, as there is not a big difference between the lightness and darkness of her hair, skin and eyes, she wants to wear colours that are similar in lightness or darkness, ideally at the medium to light end of the value spectrum, rather than deep, dark colours. Then her colour contrast demands colour, but not too much at once, one to two colours with her neutrals. This is Toni, who has blue eyes, and strawberry blonde hair, giving her a medium high colour contrast. Her eyes are a darker blue which means that with her fair skin and hair, she has a medium value contrast. So as someone with lighter colouring overall, she’s better wearing the light to medium value colours together, rather than too many deep or dark colours. Then she needs to wear at least 2 colours with her neutrals, an easy way to do this is with multi-coloured patterns. Sue is similar to Michelle and has a high value contrast with her fair skin and dark hair and eyes, but a low colour contrast as she is not an obviously ‘coloured’ person. She will best wear either monochromatic colours schemes in a high value contrast, or wear head to toe neutrals, also in a high value contrast. As she is overall darker in value, she’s best to wear more darker rather than lighter colours, and add the contrast with small amounts of light colours. Best colour scheme: Monochromatic or all neutral. 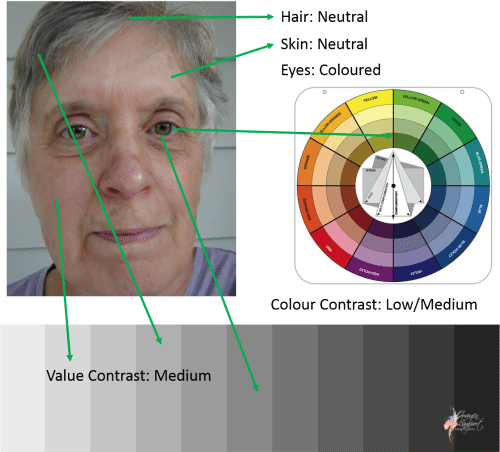 Julie has neutral hair (grey) and skin, her eyes are a mid olive colour, which gives her a medium value contrast and a low/medium colour contrast. Depending what she’s wearing, her eyes can appear more neutral and brown, or more green (when she wears green). 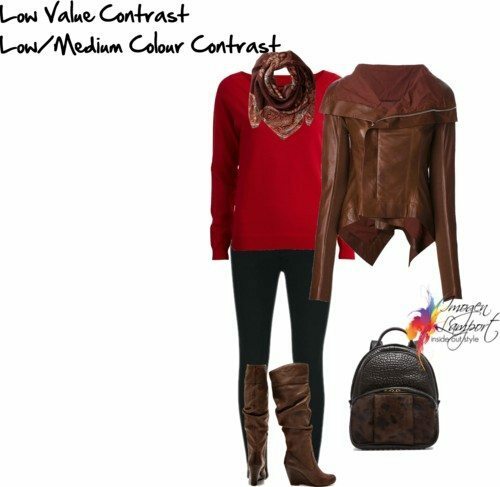 She’s ideally suited to wear overall lighter colours, and add her contrast with pops of medium darker colours. Best colour scheme: Lighter neutrals plus a medium colour. Here is Sue (yes another one) and she too is similar to Julie, with a medium value contrast and low/medium (1 colour) colour contrast. Notice how Sue’s eyebrows are still dark, even though her hair has gone silver? This along with her medium coloured blue eyes keeps her value contrast medium rather than low. As she has one colour naturally on her face, she’s best wearing some colour, rather than all neutrals. Sue is also better overall in lighter colours, as her overall value is light. As long as she chooses to play up her beautiful berry lips with lipstick, then adding small amounts of a second colour will work for her too. Bonnie has blue eyes and a red-orange hair colour which is what you notice first about her – it’s the colour, so she has a high colour contrast. Her Value contrast is only medium as her skin isn’t super fair and her hair is only a medium dark colour. 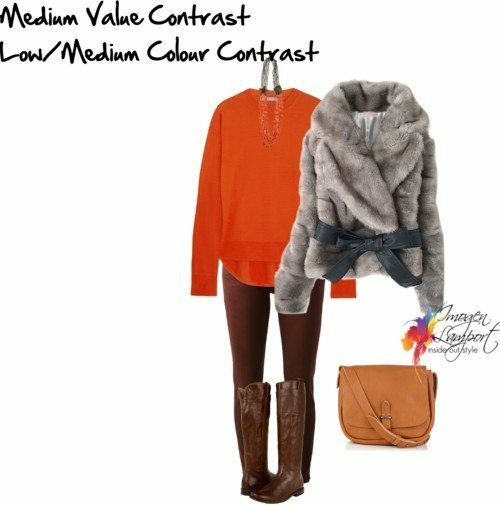 She will ideally wear multiple colours together with only one neutral in an outfit at a time. Colour is her best friend! Here we have a medium low value contrast, and a low/ to medium colour contrast. You can see there is some difference but not a huge difference between the darkness of her skin, hair and eyes. And her skin has a bronze cast to it, which makes it coloured. So ideally she should wear one colour with her neutrals (which are deep in value). Here is Phyllis with an African skin which is medium dark, with those lovely dark eyes, but her hair has gone grey and is lightening up, so currently she has a medium value contrast but as her hair goes white that value contrast will get higher and higher until she is a high value contrast. Her hair and eyes are both neutral and skin has some colour, so she is low/medium colour contrast and will. Best colour scheme – Dark neutral plus medium neutral with 1 colour. Want to download this post as a PDF? 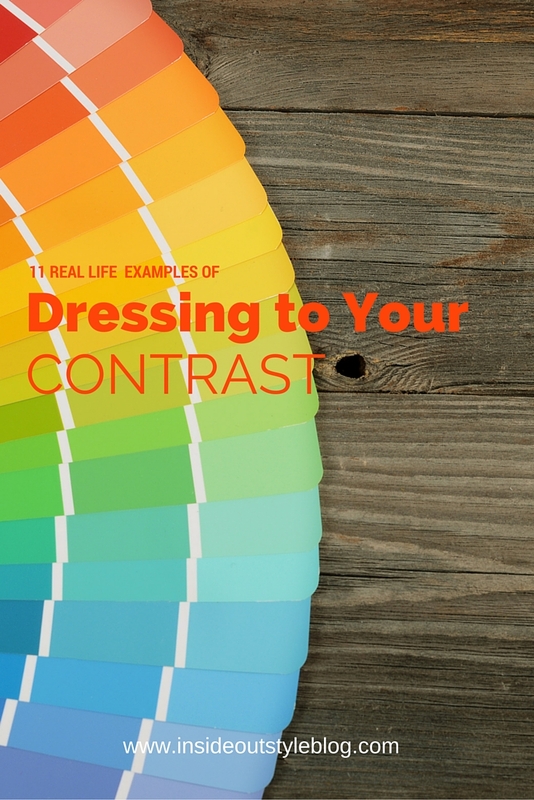 Want to see more real life examples of dressing to contrast? Then download 11 examples in this printable PDF for your reference. Bit disappointed that people with a darker complexion were not represented in this list. I was specifically searching for that. Too bad. I understand how difficult it is to represent the whole color spectrum. From doing work online, many of the images of recent black celebrities are owned by Getty Images and are costly. Wikipedia has some free images. But it does take time to locate those which are in color. 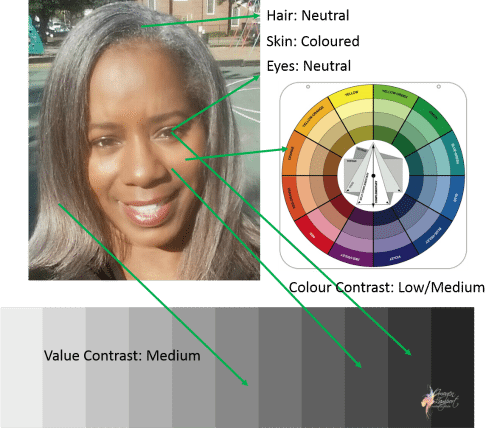 It takes even more time to find a cross section of images showing different values and skin tone for hair. I maybe incorrect; but I heard that some of the professional stock photo sites will let some web owners use their professional images, which includes people of color, provided credit is given to their site. However, I do realize that it is difficult to maintain consistency with image size for your blog when using resources such as wikipedia. Therefore, my other suggestion is to set up a pinterest page and get other pinned images and then put a link on this blog to those images by nationality with an explanation about coloring. Just wanted to let you know as a woman of color that I understand your dilemma and hope some of these tips could be helpful. That all said, a lot of image consulting as with most businesses, depends on your target market. It could be that your target market is different. In any case, I still read and get other tips and do more research to fit my specific situation. So thank you for providing valuable information. In Australia we don’t have a large population of dark skinned people. I have included a dark indian – who may be very similar to you here https://insideoutstyleblog.com/2014/11/real-life-examples-of-dressing-to-your-contrast.html/10 if you want to send me a photo to include I’m happy to do so. When I had a color analysis, I was described as 75% striking with secondary animated 20 % and about 5% rich. 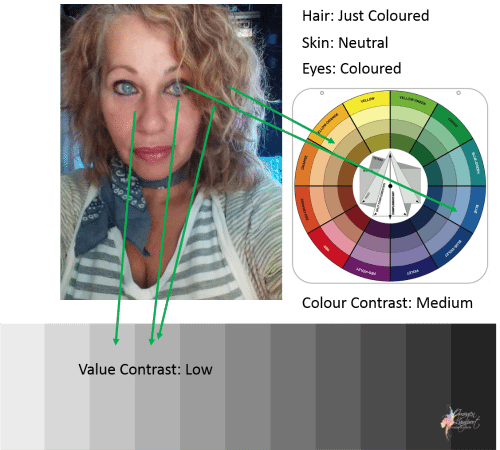 I was confused how to combine colors but your explanation of color on this blog and, now, this on value contrast, helps so much. My metals are both gold and silver; but I have chosen silver as the predominant metal-however I look more for brushed silver because it blends better with the texture and color of my hair. Thanks again. I appreciate the example. You don’t have very many dark skinned people in Australia? I thought the Aboriginal people would falll into this category. Or are there so few of them? Yes Aboriginals are dark, but they are not common and live more in Queensland and the Northern Territory. We have more immigrants with darker skins, but really not many in the whole population (lots of SE Asians, but they are light skinned). Sandy I’ve now added in a couple of extra photos of people with darker skins so please do have a look at them. Imogen this is super. It’s so helpful. I can relate to the woman with the gray hair and my hair is about two shades lighter than hers. I like the photos you chose to add to this post it gives a good cross reference for different skin colors. Thanks so much for this. I appreciate your passion and work. Venus I’ve now added two darker skinned people in so go check them out! 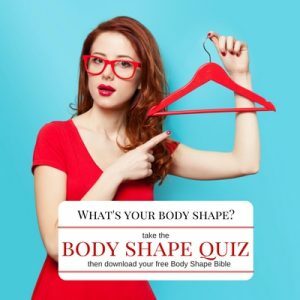 Very helpful -but could you do the same exercise for non-white women? Wow. More wow information. Thank you so much, Imogen, and thank you to your wonderful models for showing how it works. Fantastic. 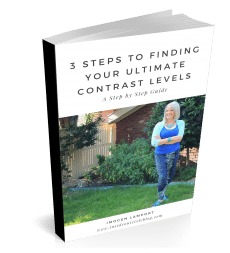 Thanks Imogen, as always very intelligent, logical, well thought out and extremely helpful. I don’t always follow my ‘contrast levels’ when at home but when going out or somewhere special I think about it and apply it more. I like your blog as I can see you are thinking things through with good reasons and not relying on someone else’s ideas. P.S. 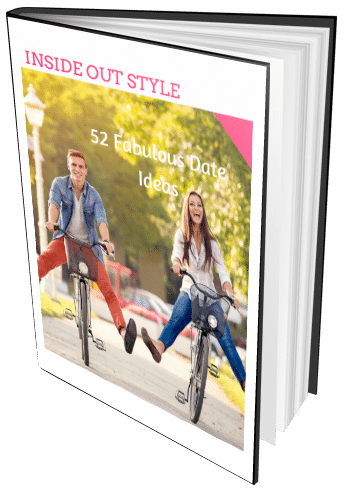 It is evident you put a lot of time and effort into you blog posts. Thanks yet again. I second the suggestion that you expand this to include women with different skin tones. What AK said. It’s harder for non-white women ‘cos the value contrast is usually medium or medium-high. I’ve also read that it’s not your value contrast per se, but how you match up in relation to others in that particular pool of people. Makes it even more confusing. I am from south Asia (India) and though my value contrast would be medium by Caucasian standards, I am considered light by Indian standards. So would I be a medium contrast black hair, brown eyes, light brown skin) or medium-high? 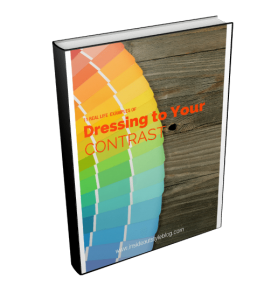 A suggestion: Equally helpful would be a visual guide on dressing to match textural variation. Thanks, Imogen! This is a totally new concept to me. I find myself somewhere between 3 & 5 (Ruby & Toni), depending on the season. My personal style is more like 3, but the colors that are less bright. (burgundy & darkblue are signature colors in my wardrobe!). My hair and eyes seems to change slightly during summer (Medium-Light value and more colored ) and winter (medium-dark and low-medium value). But one thing i love about these kind articles about colors is that they make sense and easy to adjust to and I understand why I dont feel comfortable wearing all-neutrals and high contrast colored prints. The only thing I dont understand with value/color contrast is how they relate to color properties. 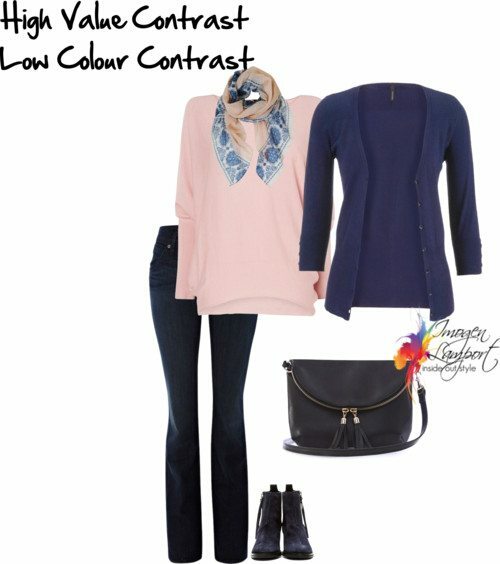 I love to wear more muted or psuedo neutral colors of the high color contrast like dark/navy blue with peach or tan (blue and orange), like the post where you wrote where some neutrals can be treated as color when usung color theory, but this kind of color combination doesnt seems “high contrast” to me because the colors are low key. Whats your opinion? They are just not as obvious, but are still high contrast even though they are muted. The value of the colour doesn’t change when you change the intensity – remember they are different properties. Ah, thanks for the answer! Btw, How does the brown relate to burgundy in the first example? I often wear psuedo neutrals with a color that relates to it (like cognac boots with a reddish orange/coral color clothing or accessories), but brown is treated like a dark orange – but burgundy is a dark red. Is the the intensity (darkness)? Just wondering, because I was planning an outfit where I used burgundy, a black skirt with blackw/warm pink/burgundy/petrol floral top and white accessories. I was debating whether to wear a medium-brown or a light rose-beige cardigan with it (I also had another option that a cardigan that were a medium slate colored , but I thought it looked a bit “off” with the green leaves on the print and because the pink flowers were warm pink). Brown is a neutral that is related to orange (a very dark orange based colour). Burgundy is a dark red – red and orange are next to each other on the colour wheel. Both colours are deep and not bright colours so relate. 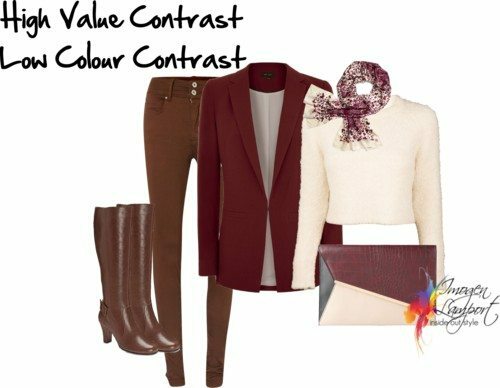 In the example of the outfits with the brown and burgundy, the burgundy is the deep value colour, the brown is the deep neutral and the cream is the light neutral to provide the high value contrast, with one, but not too obvious, colour. ohhh I get it!! You are amazing, this blog is truly a blessing. I loove how fast your response time is, which is impressive considering you are running your own business and must be extremely busy. My sincerest thank you. 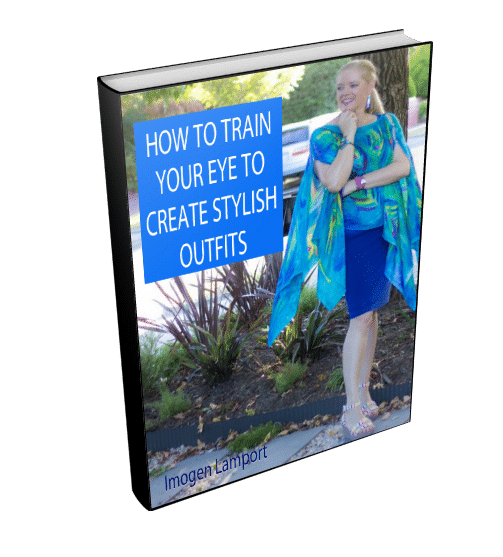 Imogen, Thank you so much – I will look at all the contrast post in detail on the weekend. However, could you tell me shortly which colours are regarded as neutrals and why is that so? You have nailed it again. I was slightly confused and wondering if photos to my lovely sister would show up my colouring correctly, when I logged on and there you had posted all the info I need. 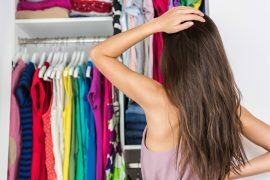 As I am choosing my 2nd Summer clothing wardrobe ( we have 9 months of very hot weather) you have made it a whole lot more fun. Luckily I have plenty of spare time to study carefully! Thank you for this post, this is extremely helpful, Imogen. I now have a better understanding of what you mean by value contrast and colour contrast, although I still sometimes have trouble getting it when applied to personal colouring. My hair, eye and skin (face) colouring is very similar to Bernadette’s (#4), my eyes being perhaps a shade darker. 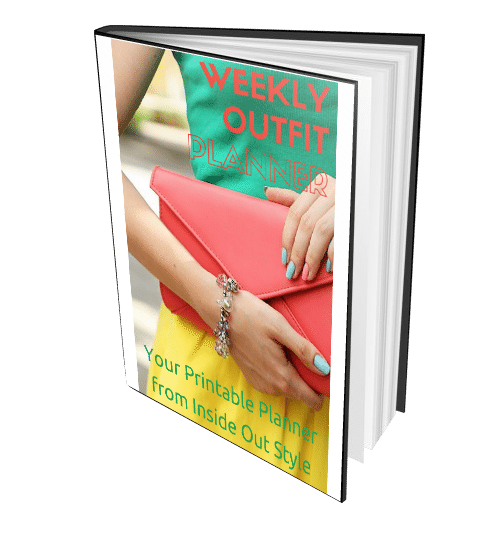 I am most drawn to and would wear the clothing colour schemes in the Polyvore sets in #1, #2, #4, #6, and #8. I usually prefer to dress in a monochromatic colour scheme (especially blues) or in medium to dark neutrals worn with 1-2 analogous colours. I sometimes wear brighter colours such as cobalt or royal blue, in which case people probably notice the colour before they notice me, even though my personality would call for a more neutral or muted colour scheme. Hi Imogen, thank you so much for this post. I do understand the value contrast, as it has to do with the darkness and lightness in the combination of the hair, eyes and skin. But now I have a question about the colour contrast. I tried to analyze the 9 photos and came with this conclusion. The more “coloured” the higher the colourcontrast and the more “neutral” the lower the colourcontrast. Now it seems like there is a difference between the neutral hair or when it is coloured. Why a person with neutral blond or brown hair the hair is “neutral” and when it is blond or brown artificial coloured the hair is “colour”. To me in the appearance of the face it looks the same. This is what I don’t understand. Does using make up also creates a higher colourcontrast or only a higher value contrast? And when I take your metamorphosis as an example. You had dark brown hair coloured but I suppose your natural hair colour was brown as well. And now you are a blond (coloured). Than am I right the hair is “coloured” in both situations, the eyes are “coloured”, and your skin is neutral. So that should make you a Medium colour contrast with the blond hair, and a medium to high colour contrast with the brown hair? But then still the question about the difference between your neutral dark hair and when it is dark brown coloured…. Am I understanding it right? Brown hair is pretty much always neutral, it’s eye colour or skin colour that may be upping the colour contrast on those people. If you use makeup, such as wear red lipstick it ups your colour contrast as you are emphasising an element of your face and making it more apparent with colour. For me – my brown hair – neutral (even when it was bottle brown), my blonde hair is basically neutral too as it’s an ashy blonde, rather than golden. SO my colour contrast is still neutral plus a colour. 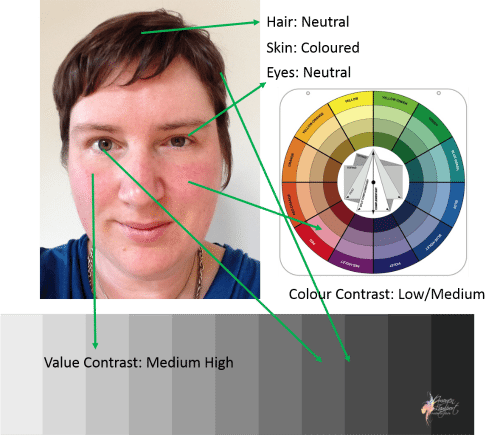 My value contrast has gone from high to medium (I have quite dark blue eyes). Just cos a colour comes from a bottle (hair) doesn’t mean it’s “coloured”. Woh, I think I am getting it. Thank you so much. So I guess with my ice-blue eyes, med.brown hair and quit a light skin (my face allways needs some colour for blushes) I should have a medium value contrast, and a Medium colour contrast, is that correct? So than I suppose I should wear a neutral with 2 (complemantary or triad) colours? If you have ash hair, then it’s pretty neutral, so it gives you neutral hair, not coloured hair. so I’m guessing if there is blusher applied or a different coloured glasses frame that means neutral plus two colours for her? I do wonder about whether she has to wear neutrals btw or can just wear one colour? I am no expert like you Imogen, but doesn’t she in this pic above look great? she is wearing one colour only though, all light colours and no contrast even though she’d probably need it due to being high or medium value contrast? plus I’d have thought that her dark hair means that she needs a deeper colour (if still warm and soft). yet i still thinks she looks glowing in that baby blue dress, which is a light colour! The dress is pretty but it doesn’t relate to her. I see dress, not Kate. The dress is a great shape and style and flattering in style ways, but not really colour. I love these posts that make me think. I believe that I have medium contrast but a med to high color contrast because I have skin with a lot of redness, I have med blue green eyes, I used to color my hair red but decided with all of the color in my face and eyes it was too much. I now have med brown hair with a frosting of gray. I thought that would neutralize all the color in my face and hair. What I wasn’t getting right was that I probably will look good in colored clothing. Although I was always drawn to very colorful prints I was trying to wear more neutrals. This has given me food for thought thanks for the many examples. Yes I would also enjoy a post about more types of women’s colorings just because it is so much fun to analysize them with you. Yes when you wear just neutrals, you will notice the flush of your face, but if you wear colour then it becomes less obvious! I think I have very low value AND colour contrast – my skin is a warm (yellowy) tan colour, my eyes are an orangey hazel and my hair is an auburny light brown – all very similar. Does this mean I should therefore be wearing just one colour from head to toe each day? You are best then in monochromatic or analogous schemes ideally. OK. Thanks. It would be interesting to see a post on how to do this without looking drab and boring! 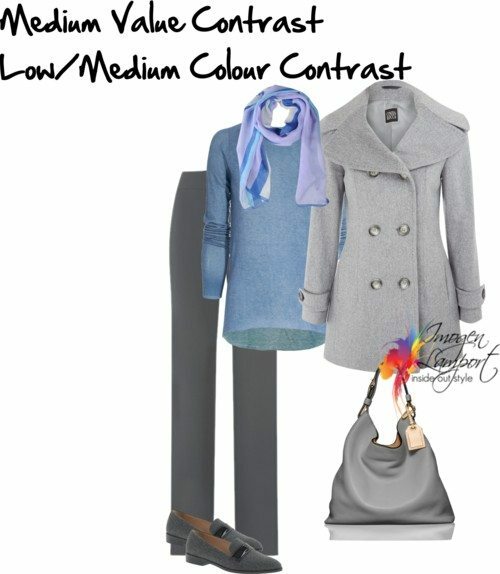 Do scarves/shoes/accessories have to follow the colour scheme, or can they be used to add a bit of variety and interest? It’s only drab and boring if you choose to wear drab and boring Judith! 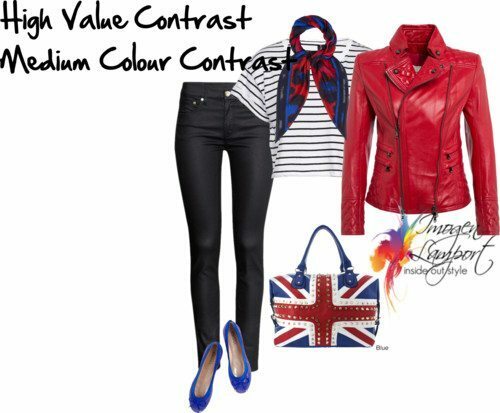 Ideally accessories can help create your correct contrast levels for both colour and style. I’m slightly confused about how neutrals fit in, actually. 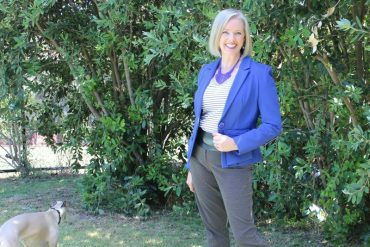 My standard outfits tend to be a “column of colour” (top + trousers, or a dress) in a neutral – often navy in winter, cream in summer – plus one piece in a brighter colour (usually orange or tan) such as a jacket or a scarf or belt. Obviously navy and orange are opposites, so I’m about as wrong as I could be, yet these are the outfits I feel most like “me” in, and which lead to people telling me I look great. This was very helpful!!! I am lucky to be similar to one of the models. Very interesting point about neturals relating to the selected colour (brown and burgundy in your illustration); I hadn’t thought of choosing colours and neutrals like that. 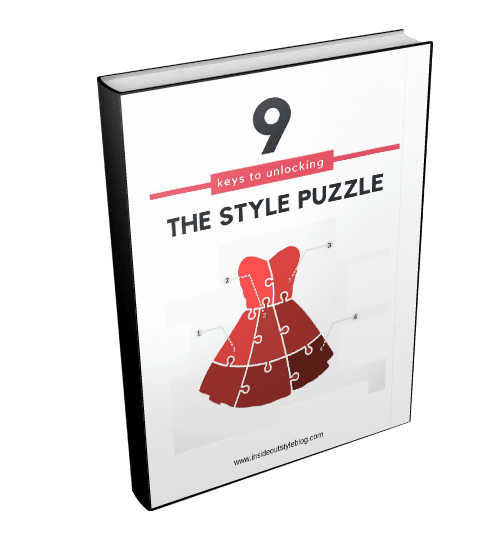 Ironically, one of the reasons I started researching style advice was because I was always wearing neutrals or neutrals and one colour, and I thought I should learn to combine multiple colours. Turns out, my complexion works best with neutrals or a single colour 🙂 Still, I will now do it better. It’s good to realise that you are doing something that harmonises. I find that many people are naturally, they just think they should be doing something different. This is so interesting and I believe it explains why I haven’t always been successful in using my colors from my color analysis. I’ve been creating too low contrast combinations but now I’ve determined that I’m medium-high. My confusion is about color contrast. I’m not quite understanding why you are calling some hair and eye colors neutral. Isn’t blonde a shade of yellow and brown a shade of orange? I’ve got medium brown hair and beige skin with blue-green eyes. Though sometimes my skin can be a bit ruddy if I’ve been outside or sweating. Am I correct to say that my color contrast is low/medium like Andrea’s. I would love to see some more outfit examples for different color contrasts. If you are more ruddy, then you will be more coloured, so it will raise your colour contrast. If you have a coppery brown hair I’d call it coloured, but if it’s a darker brown I’d call it neutral. Hi Imogen, which one of these women would look good in black and white, if any? Would the first woman? Thanks. Ruby look great in black and white as she is both cool in her colouring and high value contrast. Black and White are cool colours, so to look great in them, ideally you need to be cool and high value contrast. This is so helpful. The top I look best in is a zebra black and white pattern. That makes me a cool high value contrast. Black and cream or off white are the same high value contrast. Black is cool, if you are high contrast but warm, then work with a deep warm colour and cream or off white, not black. If i sent you a photo could you help me with my coloring? 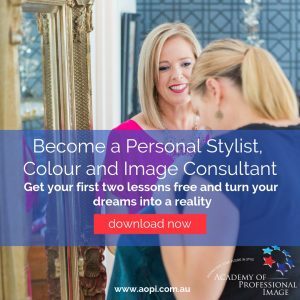 If you’d like a colour consultation you can do it two ways – either join my 7 Steps to Style program which includes it (and also includes everything you need to know about your style and body etc.) or you can just arrange to have a consultation with me via skype and through photos if you are not in Melbourne. Great examples, Imogen. You show and tell clearly. 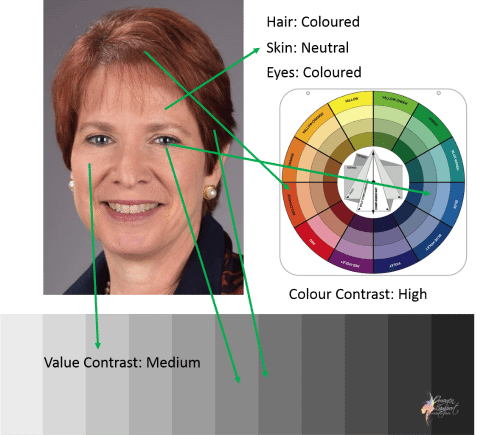 This may be a problem with the photo reproduction, but I’m having a hard time understanding colored versus neutral skin. I can see the color in example two, but I also see color in example 8. I don’t know why but Example 8 seems all together “sparkly” (for lack of a better word). Sparkly to me seems different from neutral. Should “sparkly” people like example 8 include some sparkle in their wardrobe to balance the look? Again, this maybe an effect of the photo. Monica – example 8 has a lot of colour – which may make her look sparkly. People with shine and lots of sheen need to add sparkle – so shiny hair, or shiny skin look great with sparkle and sheen. Imogen, I’m a bit confused on how to categorize myself. My hair is medium ash brown with about 1/6 of it grey. My eyebrows are still medium ash blond. My eyes are peacock blue. My lips are mauve. My skin is very fair, with freckles (I’m a true summer, I believe). I look best in teal, peacock blue, mauve and plum. Any suggestions? Terrific post, but I am still a bit confused and need help today for the US holiday on Thursday. I have colored (blonde) hair, neutral skin (although I often use bronzer) and brown eyes (with a minuscule dot of hazel. I find that colors look better on me now than when I had darker hair, but need help with contrasting. Many thanks and keep up the fabulous posts. P.S. I live in NY where everyone likes black, but with my lighter hair I am enjoying colors. Imogen, this is fascinating. can we email pics? 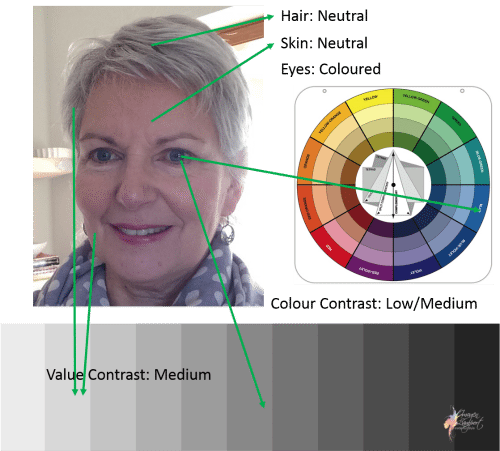 Hi Susie – if you’d like me to do your contrast levels or tell you personally about your colouring, please join my 7 Steps to Style program which includes all these services. 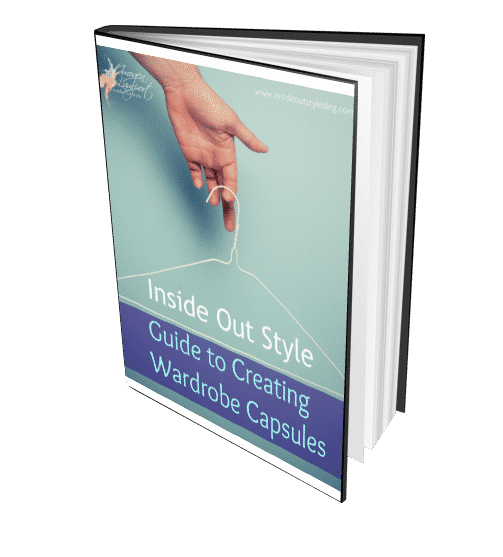 https://insideoutstyleblog.com/7-steps-to-style-system you’ll also discover everything you need to know about your colouring and body as well. Hooray! I had almost despaired of seeing someone like myself until Bonnie came along at the very end! My coloring is very similar to hers, but I am quite pale, so I have a higher value contrast. Can you tell me, Imogen, if that means I add more neutrals or fewer? Thanks for this post. The visuals were very helpful. 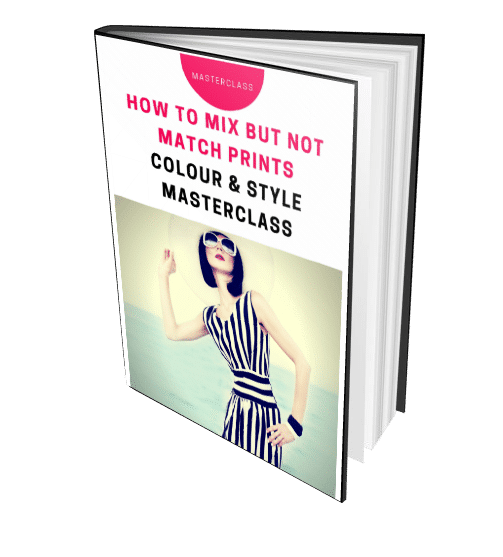 If you are paler it will up your value contrast and have no effect on your colour contrast or the number of neutrals as neutrals relate to colour contrast not value contrast. Great post, it really makes sense now. I need mid tones and find the best way to wear black navy, white cream and beige is as a print or weave as they don’t work as a solid. Absolutely – a weave or a very small pattern or the like helps to blend colours. 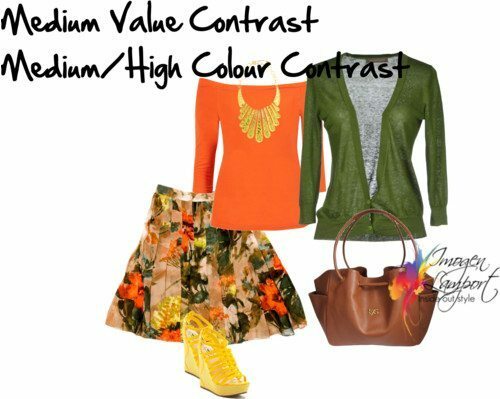 In last week post you say people with a medium colour contrast should wear analogous to 2/3 triadic. I would be so grateful when you could help me out just one more time. Anyel – 2009 was a long time ago and I’ve just updated that post to reflect the next 5 years of experience. IF the brown is a burgundy kind of brown, then yes it’s a colour, if it’s a flat brown, then it’s a neutral. If your personality is creative you can honestly get away with wearing whatever you like as it’s a reflection of your individual creativity. Thailand You for this Great post!! It is sooo interesting! I have dark brown ashy hair, light flushing skin, middle brown eyes (in sunlight quite orange-ish) and naturally light violett lips. I don’t see why not Lisbeth! Try it out and see how you like it! Thank you for the tips on dressing up with consideration of all factors involved. This will definitely improve my sense of fashion. With the guide you’ve given us, it is almost impossible not to look good. Another learning for me from a great person. I wonder about lip color in Caucasian complexions – it seems to me it always has some pink in it, even in the palest variations of it. Should lip color be included in Color/Value Contrast equation in such cases? Many are slightly pink, but not obvious, more beige, you don’t look at it and think “pink skin” you think “beige skin”. No would only take lips into consideration if they are large and very coloured naturally. IF you are very dark hair and fair skin then you have a high value contrast. this is not that uncommon. Dark eyes doesn’t change that. It’s the lightest to the darkest – if you look at the scales, just see where you fit in. Thank you for this post. It was so very well explained. Your suggested outfits are very covered up. If the person chose to wear a sleeveless sheath dress and was high value contrast like your first example, would they wear it in a solid dark colour as their skin would provide the required contrast. I think a light dress would require a scarf or bold necklace and belt to create contrast. Your recent post with you wearing a medium blue snakeskin print dress, and looking fantastic, had me thinking about the minimum number of layers needed to satisfy contrast levels. You don’t ‘need’ layers to provide contrast. you can do it with pattern or accessories. I love your blog and have learned so much that I definitely see color differently! I am an African-American woman and like to send a picture for this article. Where can I send it too? An online friend sent me here and I’m already fascinated by your work! I’m probably closest to #8 here, although my hair hasn’t gone silver yet. So out of curiosity. if I had really dark or pale skin and wanted to make my skin tone stand out or change how its perceived (darker or lighter)can I by the color clothes I wear. For example will dark color clothes (darker than skin tone) on pale skin make my skin look lighter and will lighter colors (lighter than skin tone) on pale skin make my skin look darker. I hope that makes sense, do you agree disagree what are your thoughts and opinions. Thank you in advance, as always look forward to reading your answers! Yes that’s correct – you can look paler by wearing dark colours, and darker by wearing some light colours. I can’t seem to fathom this. I was told by Myer in a free make up trial that I was a medium fair neutral skin. My hair is a dark ash brown and my eyes are dark hazel (one upon a time dark brown). I am basicallly brown, brown, brown. I shop often and can never find clothes to suit me. I end up with jaguar print and black all the time. Could you place me and explain where I am and what colours I am. Do you have swatches to buy once someone is placed? Makeup artists are not trained in working out your colouring (I have trained makeup artists and they have been embarrassed about how little they knew about picking colours for people). 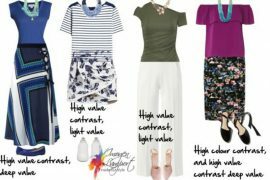 Yes I do a full colour analysis process in person which you can find out about here: http://www.bespokeimage.com.au/personal-stylist-women-melbourne/colour-analysis/ or if you are not local to Melbourne I do some colour analysis as part of my 7 Steps to Style program https://insideoutstyleblog.com/7-steps-to-style-system and you can choose to buy full swatches if you choose and I’ll do signature colours and contrast for you. I found this post very interesting plus a bit confusing. Of course one says wow what am I? Answer, not really sure. I have come back a few times to read/study each photo and read the explanation. Its very interesting. Thank you for all the work you put into these posts and for sharing. 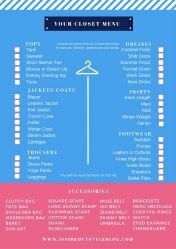 No wonder its so hard to get dressed and shop with all this to consider. 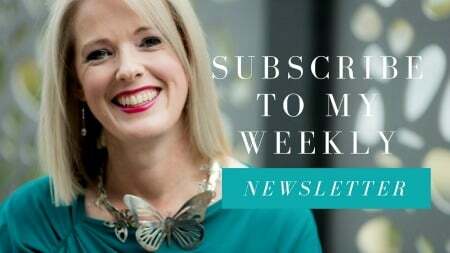 I love reading all your tips – they are so insightful! You cane a did a colour consultation with me last year and it was the best investment I have ever made. 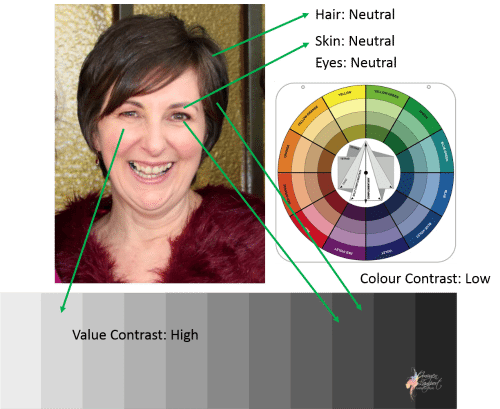 My colour contrast is low – brown hair, fair/neutral skin and brown hazel eyes (they look more green if I wear green). My value contrast is high. I am considering putting some highlights in my hair. Normally I go towards the lighter/blonde ones (but I know to keep any colours warm now). Will this change my colour contrast to medium? Or will it also impact my value contrast? Thank you so much for showing a model with BLUE hair! It’s very hard to find color advice when your hair is an unnatural color. Mine is bright magenta (with layers of violet, eggplant and black), my eyes are olive green and my skin is ivory with pink undertones. I have no idea what “season” I am, but your explanation of contrast and value makes perfect sense. I find it hard to fit myself in to any group, having fair skin which only tans to golden, mousey hair, with gold highlights but really dark brown yes and dark brows. Now I understand why I am always drawn to the following colours: white/cream, navy or black and red – I have fair skin, dark hair (both neutral) and coloured eyes… I also think it’s the easiest high contrasting colours there are and red is my favourite colour! Does make up have an effect on the contrast/colour combination? I usually wear a red lipstick and have 3 or 4 shades that I stick to! 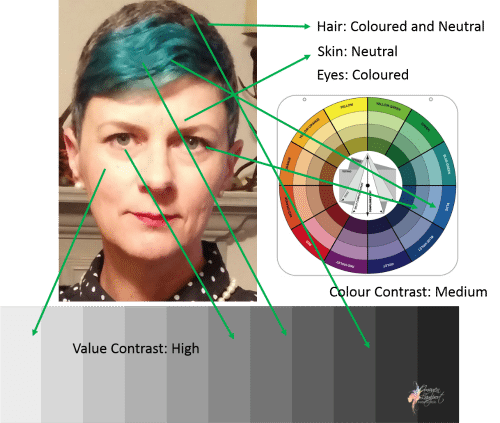 Do you apply the value and color contrast guidelines to men as well? For example, my college-aged son is looking to purchase an interview suit/shirt/tie. Like Bonnie, he has red hair and blue eyes. Would you recommend that he integrate the standard advice to wear a neutral (navy, gray) suit for interviews with your medium value/high color contrast guidelines in order to help him look his best (i.e., make sure he chooses both a colored shirt and tie)? Thank you. I’m in love with your blog and have been reading your posts nonstop since I found out about it a few weeks ago! I have a burning question: How do I create interesting outfits as a medium-high value contrast and low color contrast gal? Everything about me is warm – my skin, eyes, and hair – all a shade of gold-ish caramel/chocolate. I am by no means Jennifer Lopez, but I feel like her coloring matches mine well (and I’m talking about her with her darker natural hair color, not with all the blonde highlights). I feel like I am stuck wearing all browns, and I even feel like I can’t wear denim jackets or jeans without it looking like a blue color on me (rather than a neutral). I also want to wear olive greens, rusty oranges, golds, and burnt reds so badly to switch things up a bit, but I am afraid because of my low color contrast levels, I have to be very careful about how I do so… So how do I make this happen with warm browns as a neutral without looking like colorful clown? Another issue is that browns and other warmer neutrals just aren’t in right now. They are very difficult to find in the styles I like, whereas black, gray, and white are super gosh darn easy to spot anywhere you go… I despise the old rule that black is best… It is such a dreadful color on 95% of the population. Perhaps I’m just bitter that my colors are not available! It just makes shopping so difficult. 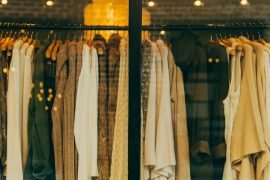 I just want some brown pants – NOT an easy find when you factor in all the other considerations that also need to be made when purchasing a pair of pants! Any advice for these two dilemmas? I would love a discussion on denim and how to wear neutrals as a low color contrast warm palette gal. Please! In a world that worships black, gray, and white, us warm girls need you! Hi Ellen, I’ll put something together in a post – so keep your eyes peeled for it! Just go for one colour at a time rather than multiple colours. 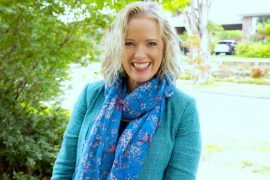 Hi Imogen, I have been following your blog for a very long time. The information is extremely helpful and enlightening. May I suggest that in your examples the Indian lady has darker skin than the African lady. However on the grey scale you show the African as having a darker colour. 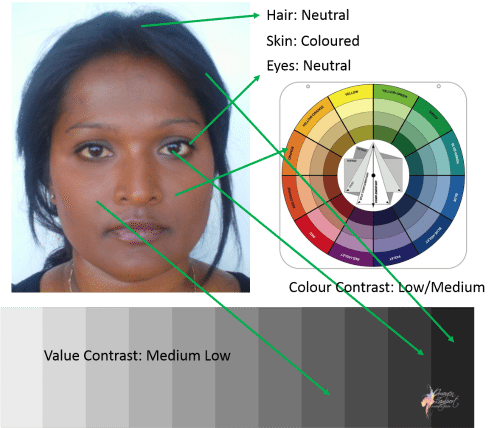 The African complexion would be considered medium light not medium dark, while the Indian would be medium dark to dark. It’s a bit confusing because I’m thinking that for Caucasians it would appear that the African lady is medium dark, while persons of African descent would consider her medium light. But also she has areas of her face (forehead/cheeks) that are very bright/light so wouldn’t that increase her value contrast? I am just trying to understand the concepts by following the examples shown but the disparity makes me more confused. Please can you tell me what would be the value contrast of the African lady if her hair was brown-black and her eyes a medium brown but with the same complexion with bright areas, as shown? And what would be her best colour scheme? 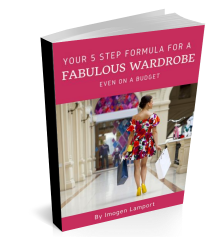 Imogen thank you for this very informative and extremely well organised blog. It’s just the difference in the photos – the sun is bleaching out areas of the African woman’s skin, it’s not that those areas are lots lighter (and I may have marked it one shade darker than it is), vs the Indian is in darker lighting without that kind of glare. If those areas were much lighter it would increase her contrast, but I really don’t think they are. 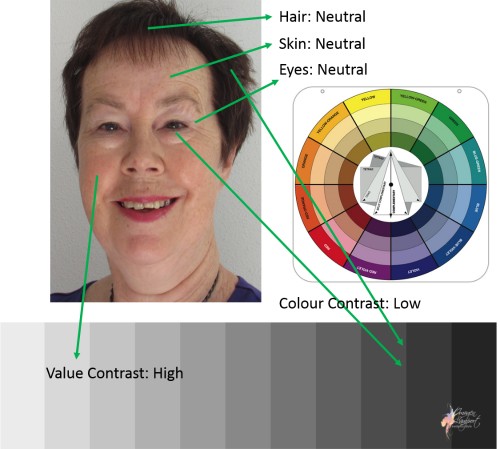 You can do your own contrast analysis by downloading the grey scale and taking a photo then comparing the light and dark areas of your face – get the greyscale here https://insideoutstyleblog.com/2016/10/colour-scheme.html – just look at the lightest parts and compare the the darkest elements (whether that is hair or skin) and you can figure out your contrast. 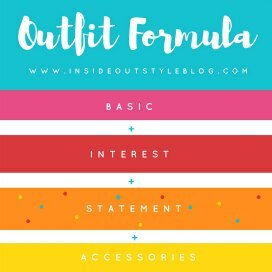 If you’d like my professional opinion I do that in my 7 Steps to Style program – https://insideoutstyleblog.com/2016/10/colour-scheme.html Hope this all helps! Hi Imogen thank you for responding. I understand that different lighting can produce varying effects. But to say that the sun is bleaching her skin- wow!! Sun doesn’t bleach black people’s skin. It tans/darkens the skin just like it does to white skin. Black people have varying skin colours from very dark to very light. The only role the sun plays is to darken it. Many people of colour have an eternal tan (i.e a few shades darker than their natural colour) if they live in tropical climates yr round. Also I don’t quite understand why you would make an assumption as to whether or not her skin is actually bright. Black people do tend to have quite luminous skin, especially when it’s not covered in makeup. If an image is being analysed shouldn’t we take at face value what is seen, instead of assuming all sorts of variables. Such as who had better light, who is bleaching etc. For all we know the indoor picture was done under professional lighting. For example,if I take a photo , it doesnt matter the lighting conditions I will always have bright /light areas. Think Alek Wok. Should I therefore determine that the lights or sun is “bleaching” my skin so I should simply choose another level on the grey scale, rather than accept the results given on the grey scale? From what I’m gathering that seems to be what was done for the last two images because I can’t imagine the grey scale would have place the much darker woman as lighter than the other (sun or no sun). Somehow I think that that type of manipulation of the raw data would leed to an incorrect contrast assessment. Maybe I’m wrong. I’m still learning. My intent is not to be confrontational, and I chose not to comment way back when you first added the last two analysis because your blog is so perfect. So why point out one little flaw? But every time I re-read the article I think of all the people who are looking for visual comparisons, even after doing the grey scale. Because of course one’s colour scheme choice is also partly dependant on whether you are considered dark, medium etc. Correct? So if one uses the grey scale and works out their contrast levels, then uses the visuals in the article to determine their best colour scheme, I think they can very likely end up with bad colour choices. Such as too dark or too light nuetrals for their complexion. Am I making sense here? Sorry if it seems I was trying to get a free analysis. The question was because I have the exact skin colour as hers but there was a disparity with where both of us are on the grey scale and the fact you labeled her medium dark. So I thought maybe hair or eyes affected your results/perception. Hence the question. Hi Annalee – the sun has bleached the colour out of the photo (sun can do that – it’s a bouncing of the light into the camera lens) – it hasn’t bleached her actual skin! It’s the affect in the photo not her actual skin. Sometimes also how you see a photo will vary from computer screen to computer screen, so you may be seeing a slightly different image to me. Lighting will affect how dark or light a person appears in a photo. I happen to know the Indian woman in person and know that this image is slightly darker than she is in real life, which may have also affected my judgement when choosing exactly where to put them on the grey scale. Ideally, when considering value contrast – it’s the difference between the lightest element of your face/hair and the darkest. Simple as that. For some people it’s eyebrows that influence, for others with big smiles and lots of lovely white teeth, their teeth give them contrast. I feel that you’re overcomplicating this somehow. 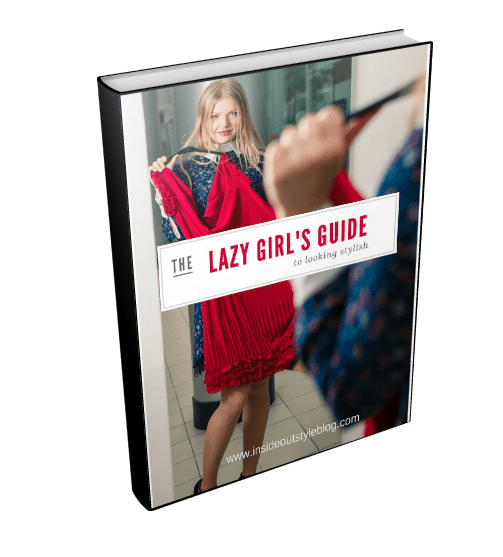 The visuals are examples for each of those individuals, not a guide for everyone. It’s the concept I’m trying to explain, not give a hard and fast example that will work universally. Colour schemes relate to personal colouring, undertone, intensity and colour contrast as well as value contrast. I hope this is helping make it clearer for you. Imogen I agree with what you have written and having had a colour analysis with drapes etc I concur that it is a very individual thing. But I think where I got confused was “Best colour scheme -dark neutral…” I thought that dark neutral related to the fact that you saw her as dark. Hence if she was medium light, then it would be , medium- light neutrals. As such, I thought incorrectly, that you were indication that the colour scheme choice as it relates to value and colour contrast was somewhat connected to if you were dark, medium , light. In that case a correct assessment of whether a person was dark, medium or light would be necessary. Hence my concern that the visual representations were inaccurate. Obviously I was very wrong and hence my point is totally mute. I shall return to being a silent reader of your excellent blog. Thanks for your responses. Hi Annlee, I’m not sure if I truly understood your comment. 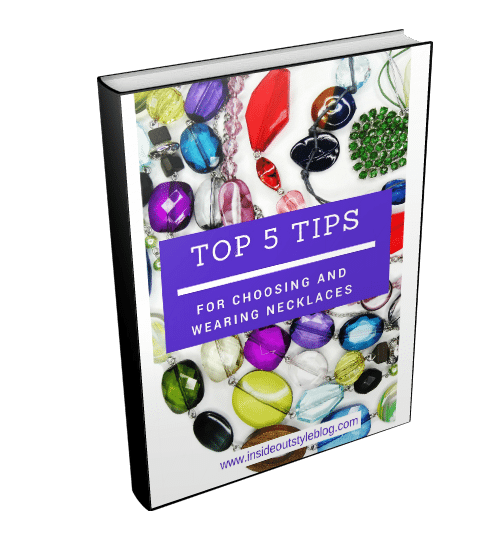 There are multiple aspects to choosing colours. Each of us has a dominant value – lighter, medium or dark (that is commonly from hair colour as it surrounds the face). 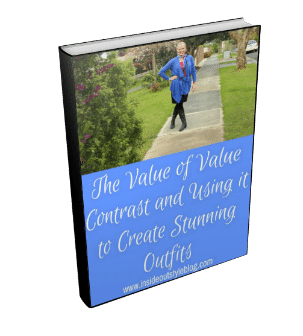 Then there is the value contrast, which relates to how you put colours together, plus the colour contrast – also about how many colours you choose to wear a once. You are welcome to comment and ask questions, I may not have explained the concept well. Imogene, I find all of this difficult to figure out even though you’re so thorough! The photo examples are helpful but I’m not finding one that matches me. My hair is silver/gray. My skin is light/fair and my eyes are dark brown. Where would that put me? How much do eyes change the contrast? Eyes can give contrast – how different is your hair from your skin in value? If they are similar, think overall light with pops of dark. If your hair is darker than skin – think more medium value contrast with pops of dark. My silver gray is actually lighter than my skin tone. So that would mean what? 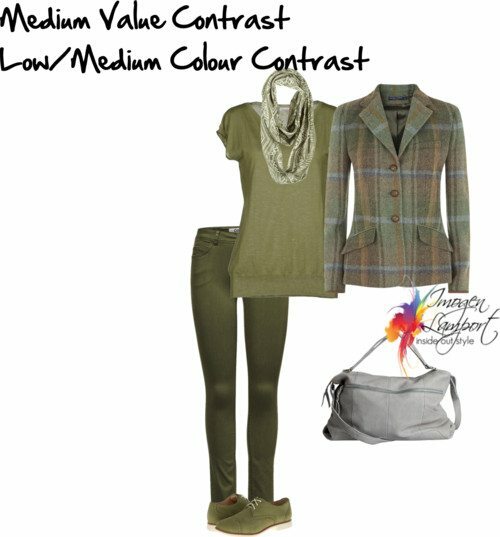 Do you have a link to what my combination would look like in putting together an outfit? Thank you. If your eyes pop like Gwen’s and are large and make darkness obvious- then yes – but if your eyes are smaller or don’t pop I’d say a medium value. So helps make it clearer for me. My eyes are smaller than hers but I have an intensity in my eyes that makes people remember me by them. I’ll play with the medium to high value contrast. Thanks Imogene. I learn so much from your work. Sorry Imogen, but you must be kidding? Since when is brown “colored”? And pink is not “colored”. What kind of color analyst is who proclaims brown as not neutral. This is simply too much. 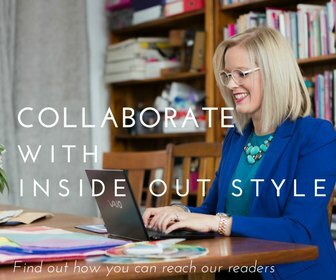 Then you need to work with both elements https://insideoutstyleblog.com/2016/10/are-you-colour-contrast-or-value-contrast-dominant.html is a post all about this.